The World Cup Final 2018 is this weekend and everyone’s eyes are firmly on the ball. Wimbledon and the Tour de France are also here and then we’ve got The Open, the England vs India test series and more women’s T20 all in a few weeks after that. The summer months are some of the best for sports (and non-sports) fans: the sun’s shining, the games are playing on the big screen, the sweepstakes are in and we all use it as an excuse to have a get together. 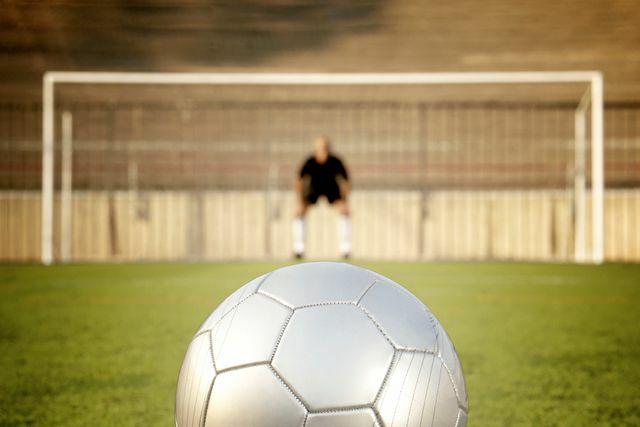 But what about off the pitch – what if your job goes beyond the final whistle? For sports law practitioners, their work goes beyond the glamour and into the nitty gritty of governance, IP rights, regulation, the media and challenging decisions at the CAS to name a few. For aspiring sports lawyers, newly qualified solicitors, or those who are pondering developing a practice in a new area of law, sports law is an incredibly appealing (and fascinating!) option. It’s a highly complex area which requires you to master its many nuances – and it’s also no secret in the legal world that it’s an extremely competitive area to get into. It significantly helps to get a foot in the door if you have a strong grounding in the law and recent developments in the area. But what are some of the things lawyers should be noting when considering this career path? Something that sports lawyers often advise on are issues around sponsorship deals and completing agreements. It’s a big business in sport where brands can sponsor a whole team, an individual, an event or even a governing body in some cases. To see their success, you only have to think of some of the biggest names in sport and they’re almost synonymous with brands – take Ronaldo and Nike, Bolt and Puma. There’s no denying that they’re lucrative but for lawyers in the industry, they must know exactly what goes into the contract, advise effectively on the IP rights, issues around exclusivity, injunctions and limitations… and what to do if things go wrong. It seems you cannot talk about law in sport in 2018 without mentioning doping. There’s constant debate around regulation and self-regulation in sport, which is something you’re likely to come across too if you decide to practise in this area. One of the most obvious cases that comes to mind is cycling. It’s a sport of sheer athleticism but since the news breaking about Lance Armstrong, there have been several cases of doping and contaminated supplements that have surfaced – Froome being the most recent for excess salbutamol levels. The Union Cycliste Internationale have recently made the decision to drop the proceedings against Froome, but all of this poses the question of to what degree should athletes accept responsibility for self-regulation and what falls down to sports lawyers? Interestingly, the International Cricket Council (ICC) has just announced the launch of an integrity app. You may be asking what is it and what will it mean for sports lawyers? Well, it will give anyone in the game easy access to information they need to tackle issues relating to anti-corruption and anti-doping. It is certainly a step in the right direction for sporting law and the spirit of the game, but as for the question of if it will trigger a change, only time will tell. It could mean that it raises awareness amongst athletes about regulation, meaning fewer cases reach lawyers. But if the cases in recent years are anything to go by, the need for specialist anti-doping lawyers is only going to increase. What about sports law in practice, litigation, challenging decisions and the Court of Arbitration for Sport? If you’re considering pursuing a career in this field, you may be asking questions such as who are the main sporting bodies and what is their role? What do football intermediaries do? What is the legal framework for sport that I will come across in practice? And if you’ve followed the recent cases about Chris Froome’s doping allegations, about Russian cyclist Ekaterina Gnidenko, about the Paris Saint-Germain F.C. case around potential breaches of the financial fair play allegations, you will have certainly heard of the CAS. Any budding sports practitioner will need to understand the CAS’ organisational structure, the types of disputes that go there, what appeal procedures involve for lawyers and the enforceability of judgments. Obviously, the expertise of arbitrators is key to the CAS’ success. It’s proving a popular option for applicants and sports lawyers alike and with this, there’s an increasing need for specialised practitioners who can offer guidance throughout the whole process – something which will require quality training from experts in the area. CLT is delighted to announce the Certificate in Sports Law with recognised sports lawyer and anti-doping litigation expert, Dr Gregory Ioannidis. This one-day course provides an introduction and overview of sports law and practice. It is ideal for newly qualified solicitors, aspiring sports lawyers, or those looking to change practice areas to sport as it will introduce delegates to the law and governing bodies in this area, and will examine the key areas of regulation, governance, practice and procedure and ethics. When you’re first starting out, practical experience and training are key and this course will give you the chance to work on one of the trainer’s previous cases and look at real issues arising from anti-doping litigation. You’ll hone your skills and gain an understanding of specific sporting litigation and disciplinary proceedings and will be equipped with the knowledge, resources and confidence needed to effectively advise and represent clients.